Will this Bidet seat fit my toilet? 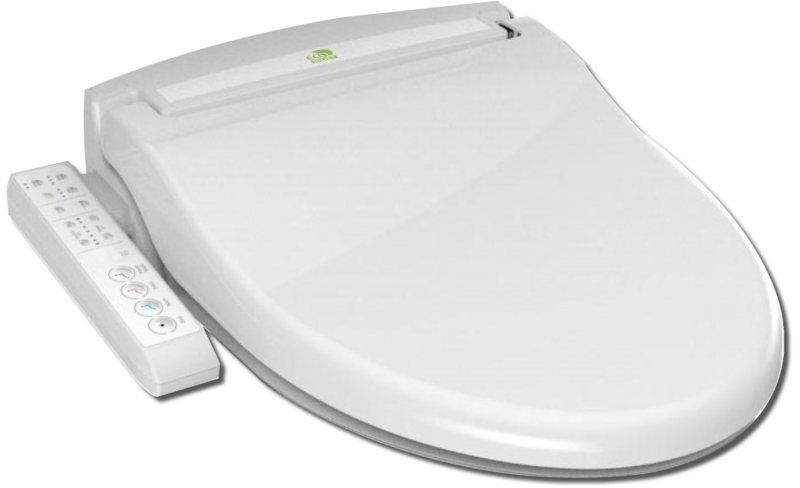 It has most or even all the features you will find in a premium bidet at double or triple the price. 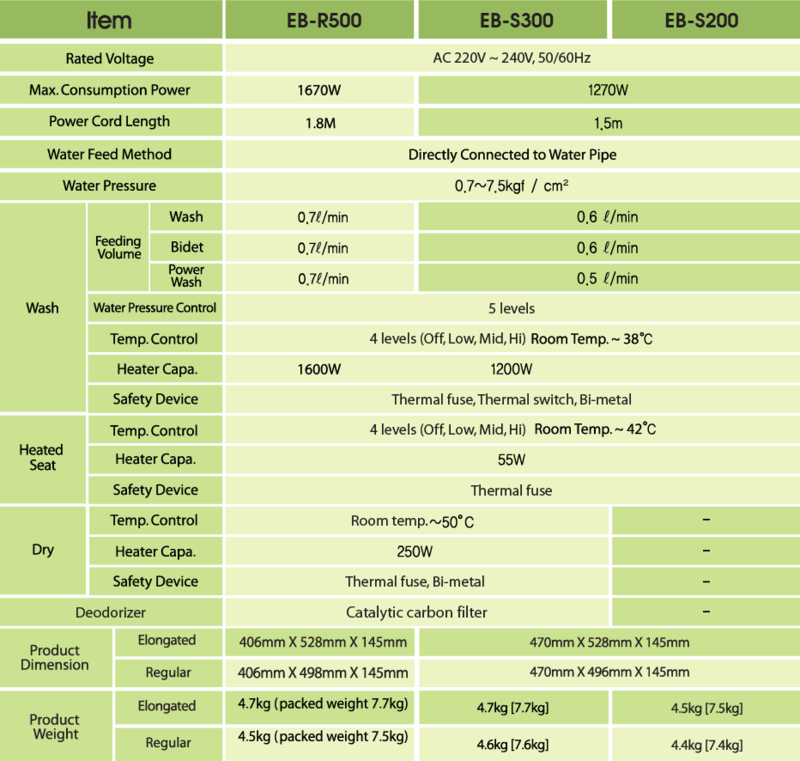 The Eco Bidet S200 will fit a wide range of toilets please use the guide below to check if it is suitable for your toilet. NOTE: Close couple toilets or back to wall toilets may require top fixing bolts if there is no access to the bolts under the toilet or internal fitting kit if there is no access to water supply behind the toilet. 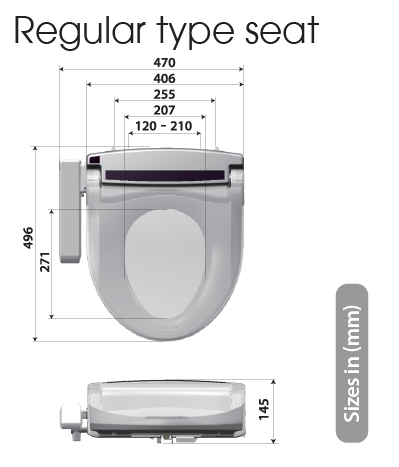 * At C: 320mm once installed some porcelain may be visible, 330mm is the preferred size. 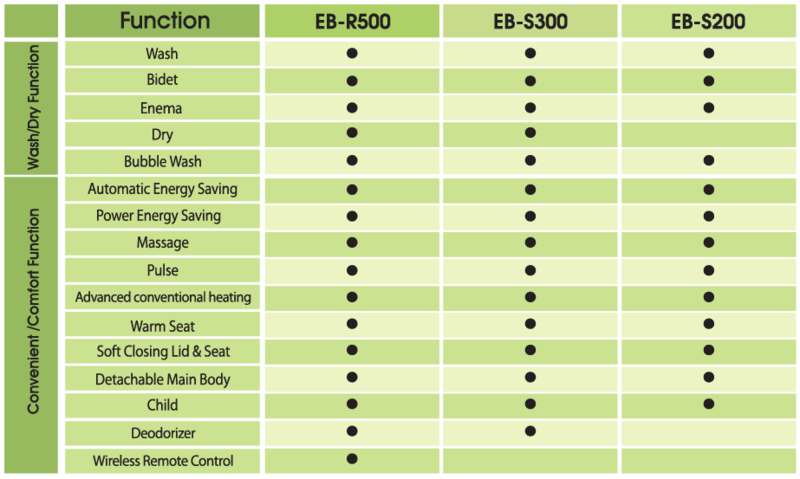 The Eco Bidet S200 it is a certified product compliant with Australian Standards Watermark & Electrical Certifications. child option, if selected the bidet will reduce the water pressure and nozzle position by half in order to adjust for a much gentler wash suitable for a child. the bidet runs a self-cleaning procedure before and after every user of the nozzle to maintain a higher hygiene standard. quick release to detach the main body of the bidet in order to clean properly under and around it.